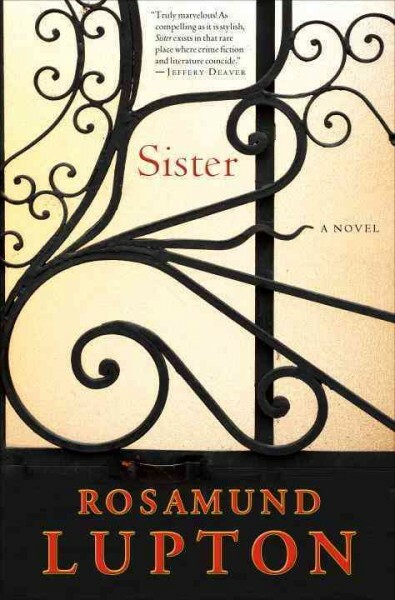 How well do you really know your only sister, the sister you thought you knew everything about? How much guilt should you feel when something goes terribly wrong? When you weren’t there to pick up a frantic phone call? These sisters, Tess and Beatrice (Bee), grew up in London in a dysfunctional family after their brother died at a young age and the parents couldn’t hold the family together. Bee eventually moves to New York to the corporate world, fancy apartment, and an engagement ring. Tess, an artist and a free spirit, stays in London, moves with a rather bohemian crowd, and becomes pregnant. Then Tess goes missing, and Bee’s life takes a drastic turn. After Tess’s body is found and is deemed a suicide (I am not giving away too much, this is on the jacket), Bee moves into Tess’s shabby, cold, apartment and gets to know the people who had been in Tess’s life—the artsy group and the friends from a medical trial. Bee wants to convince everyone that Tess would never have taken her own life and that she was murdered. There is more than one likely candidate and clues abound, but the police and medical personnel are determined that they have correctly resolved the issue. The plot is intriguing, the writing is beautiful, and the characters are finely drawn. There are complicated emotions and staggering sadness, along with a certain sordidness that made the book hard to read. The landlord of Tess’s apartment is a most unusual person—caring and sensitive—he explains to Bee about the “dawn chorus,” describing the order of birds as they sing in the morning, the “blackbirds, then robins, wrens, chaffinches, warblers, song thrushes.” (page 135). This is a psychological thriller at its best.